Until about a year ago, I hadn’t worn a watch since 1998. For the first few weeks, wearing my Apple Watch felt uncomfortably strange. Now, not only does my wrist feel naked without it, I actually panic when I forget it. The Apple Watch is so much more than a watch. In fact, I rarely use it to tell time. That response is the inspiration behind this post. Note: I have the Apple Watch Series 2. The newer version, the Series 3, has cellular capability. Apple no longer carries the Series 2 but if you are interested in that one, you can still purchase it on Amazon or get a great deal on eBay. Target carries them too. I have no complaints with the Series 2 and don’t want the additional expense of adding to my cell phone plan. Check out my downloadable “Top Ten Favorite Apps” list at the end of this post! Although it seems silly, I use the ping feature of my Apple Watch more than any other. How many times do search your car for your phone, temporarily lose it in your oversized handbag, or simply misplace it in your house? Pinging my phone has given me back hours to my life. Here’s how you do it. On your Apple Watch, swipe up. Then press the image of the phone and it will alert your phone. I find my keys in a similar method through the Tile Style featured in my Holiday Gift Guide for the Hot Mess Mom. Red (Move): your active calories burned so far. When you initially set up your Apple Watch, Apple suggests a move goal for you. This will change depending on your activity level. I know I’m fairly active and I don’t pay too much attention to this goal. Blue (Stand): makes sure you stand for at least one minute per hour. I never fail to meet my stand goal. If I worked in an office, I could see how this could motivate me but I ignore this most days. Green (Exercise): this is what I work towards–my exercise goal. 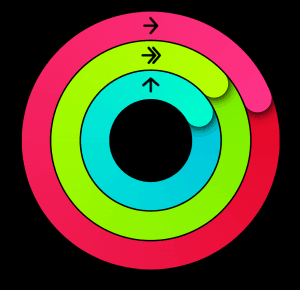 I want to complete this green ring every single day. To achieve it, I must work out for at least 30 minutes (you can modify this at any time). This green circle motivates me like nothing else. Halfway through the day if I glance down at my watch, I tell myself that I have to find time to work out. Sometimes, it’s going for a walk, other times, it’s exercising when everyone gets to bed. I worked out more in 2017 than I have in years, and one huge reason is owning this watch. I purchased my Apple Watch to use as a heart rate monitor. I prefer a monitor on my wrist rather than the chest. Although the Apple Watch comes preinstalled with an activity tracker, I never use it. Instead, from day one, I started using Fitiv Pulse, formerly known as Motifit. At the end of my workout session, it sends all my metrics to the Lose It! App and Apple Health. The Fitiv app keeps track of all my workouts. 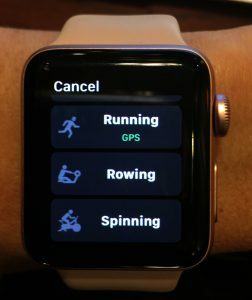 Open the app on your watch when you are about to start exercising and choose from the appropriate categories: spinning, outdoor walks, weight lifting, yoga, elliptical, etc. 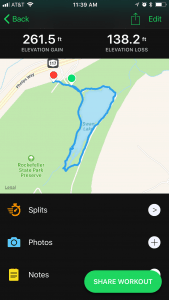 Not only does the app track your heart rate (including your average and maximum heart rate) and heart rate zones, it also measures duration, distance, pace, and calories expended. I pay $10 per year for the Pro Membership. To me, it surpasses Apple Watch’s activity tracker in every way. 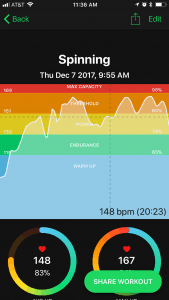 If you use a Peloton, either the via the app or bike, you can customize heart rate zones (HRTRIBE) to match Peloton. I’m a very visual person and I like seeing the graphs at the end of my workout and the ability to refer to them at any time. I didn’t think I would actually use the text message feature, but I do, all the time. 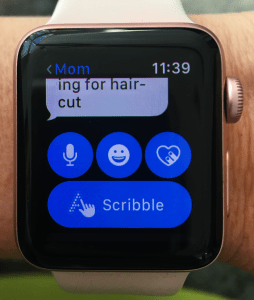 The Apple Watch allows me to discreetly send a text without taking out my phone. While attending dinners and school events, I reply to text messages without anyone knowing what I’m doing. You have the option of using preselected responses (sure, great, thanks) or you can scribble a message using your finger. If you remember the Palm Pilot days (I’m dating myself here), this is so much simpler because the Apple Watch understands regular handwriting. I can’t tell you how many times a day I scribble a message to someone. While at home with the kids, I often put my phone away for a while, to feel disconnected and yet, more connected to them. A trick I learned: Text yourself. As a family, we sometimes go somewhere together but then split up. I take one kid and my husband takes the other. There are times when either he has forgotten his phone or his phone battery dies. I give him my phone and we can stay in touch. I can text him from the Apple Watch and he can read and reply to the text using my phone. This could also work if you gave your child your phone. I rarely use my Apple Watch to have an entire conversation. I use it to take a call when otherwise, I would miss it. 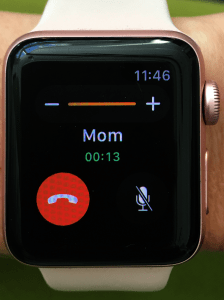 You can easily switch the call over from your watch to your phone. I have zero sense of direction. My Subaru exceeds my expectations in many ways, but not with its navigation system. I frequently use the Apple Maps on my phone for GPS. What’s great about the Maps app is that it pulls all your addresses from your phone, including appointments in your calendar, invitations, and contacts. (Google Maps does not sync with your watch). Upon starting your route using Apple Maps, step-by-step directions automatically appear on your watch. The Apple Watch vibrates at each turn: 12 vibrations mean turn right, two sets of 6 vibrations mean turn left. You can also view the map on your watch. Of course, you can bypass your phone altogether and access Apple Maps directly on your watch. This is helpful for walking directions. If you have been thinking about getting an Apple Watch, I sincerely doubt you will regret the purchase. 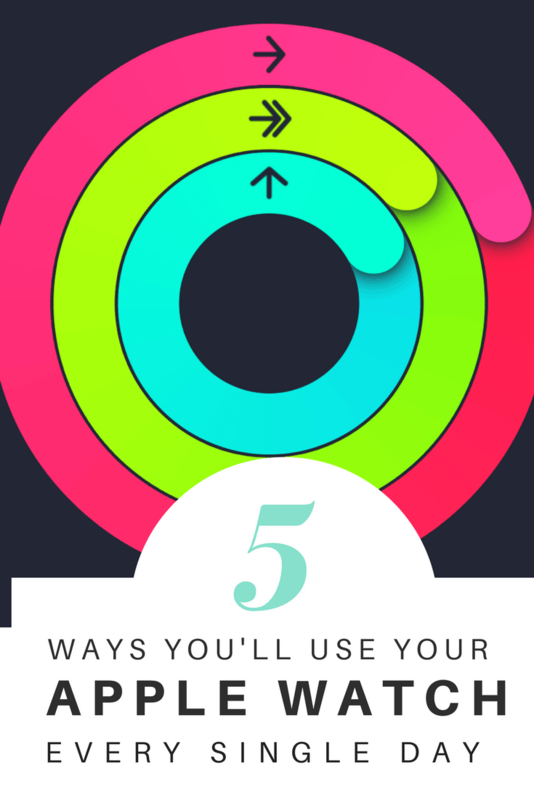 I limited this post to only five things but there are various apps I use regularly. By far, one of the biggest perks of me having the Apple Watch is that my kids don’t have to witness me glued to my phone. I don’t put any social media apps on my watch. My kids know what the rings mean and that my watch motivates me to be healthy and strong. Keeping active is an important part of our lives. The watch gives me confidence that when I’m enjoying time with the family that I won’t miss an important call or text. Do you have an Apple Watch? What are your favorite apps? Look out for an upcoming post on some of my favorite apps, including fitness apps, so be sure to subscribe. That was a great review. I agree with everything you said. I find it really motivating and am always changing the straps! 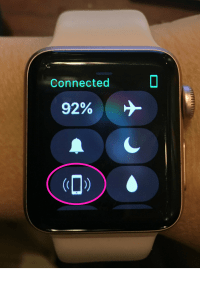 Can you get reminders on the Apple Watch? You can get reminder apps for your watch. But what I do is say “Hey Siri, remind me to do x at x time” and it will alert me. i thought this was a great review. great job! Thanks. Great to hear that. I received an Apple Watch in October and I wasn’t sure what to do with it at first. Now I love that I can get notifications without needing to grab my phone.